Twitter just found its new fave fanfic. ICYMI, recent months have seen a few mash-ups among the country’s hottest love teams, ones that specifically feature Nadine Lustre and Kathryn Bernardo. Nadz is fresh from starring alongside Carlo Aquino in ‘Ulan‘ while Kath has been paired with Alden Richards in an upcoming flick. Both projects are notable outings for the two, as these won’t feature their reel/real-life partners, James Reid and Daniel Padilla, respectively. Apparently, Twitter has become such a huge fan of these crossovers that they’ve begun to stan Nadz and Kath altogether. What’s the story, you may ask? It depends on who you’re talking to, but basically, it revolves around two lesbian lovers. A Kathryn x Nadine stoner film where they become drag queens for a night, rob a bank in a drunken haze, and are eventually forced to lip sync for their lives. ICYDK, ‘Billie and Emma’ is a film about a pregnant teenager who falls for a new girl in her school. So yeah, there you go. 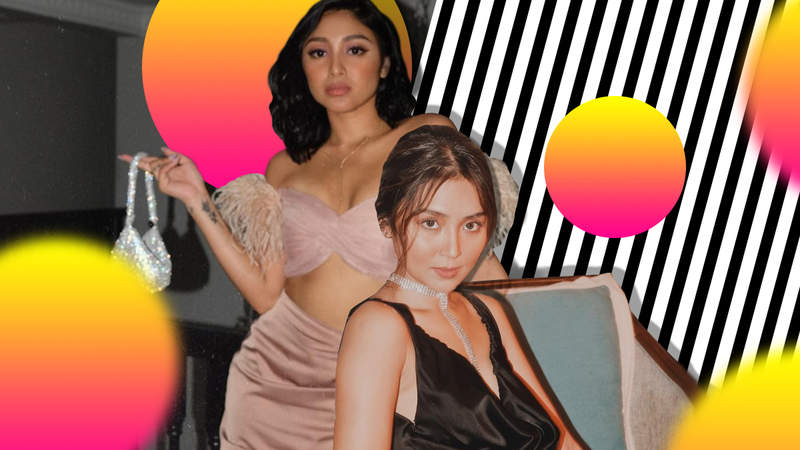 Twitter’s new obsession is basically Nadine Lustre and Kathryn Bernardo simply going at it. I wonder how long until people fantasize over James Reid / Daniel Padilla next?